More than 5,500 arrests in France in the past eight weeks ! Freedom is not fashionable ! Italy’s populist rulers have lent vocal and technological support to the yellow vest movement after eight weeks of riots in France. “I support honest citizens who protest against a president who governs against his own people,” Italian deputy prime minister Matteo Salvini said on Monday (7 January), referring to French president Emmanuel Macron. “Yellow vests, do not weaken!”, Luigi di Maio, Italy’s other deputy prime minister, added. 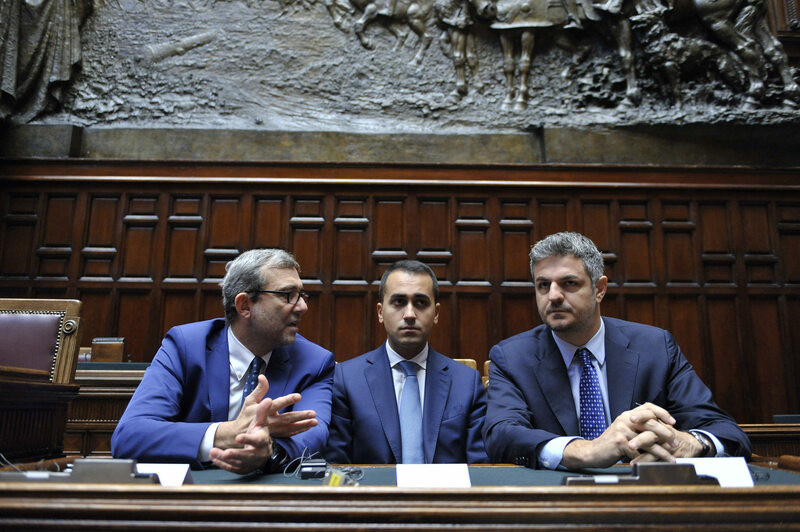 Di Maio, from the Five Star Movement (5MS) party in Italy’s ruling coalition, also offered yellow vest leaders the use of his party’s IT platform, called Rousseau, to help organise future events in France.